By providing effective and communicative language teaching and class activities, we believe that our method of teaching will make learners feel at ease and well motivated. Our goal is delivering the most enjoyable and comfortable learning atmosphere, by creating situations in which learners enjoy communicating in the target language. As hospitality and learner’s satisfaction is the key to our success. It is why we do not name our institution as school or college, but a home of language, “Wisma Bahasa”. Wisma Bahasa has been running Indonesian Language training programs for multi-ethnic learners requiring Indonesian language services for general and specific purposes since 1982. 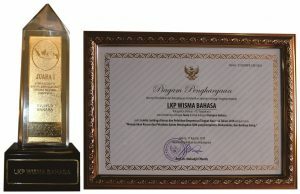 With more than 29 years of experience Wisma Bahasa has shown that in order to maintain its position as market leader amongst Yogyakarta language training institutions, it has had to provide highly consistent and high quality language service through a commitment to continuous improvement. More and more learners throughout the world have discovered and showed their interest in Wisma Bahasa. Those are from diverse programs, with various disciplines and backgrounds, and are mostly associated with prominent institutions and organizations. We are not teachers to learners, but friends. We do not just teach the language, but create situations in which learners enjoy communicating in the target language. Hospitality is our principle. Support activities are also designed to offer learners the opportunity to learn Indonesian language and cultures outside the classrooms to have in different learning atmosphere. Course length is flexible and subject to students learning pace and time. Learners have flexibility to choose the topics, focus and daily time schedule. Learners can start at anytime they wish, and from any level they are. If learners have enough time to stay in Yogyakarta, we recommend learners to take the length of course as we offer. Wisma Bahasa has teamwork of trained and experienced professionals’ teachers. 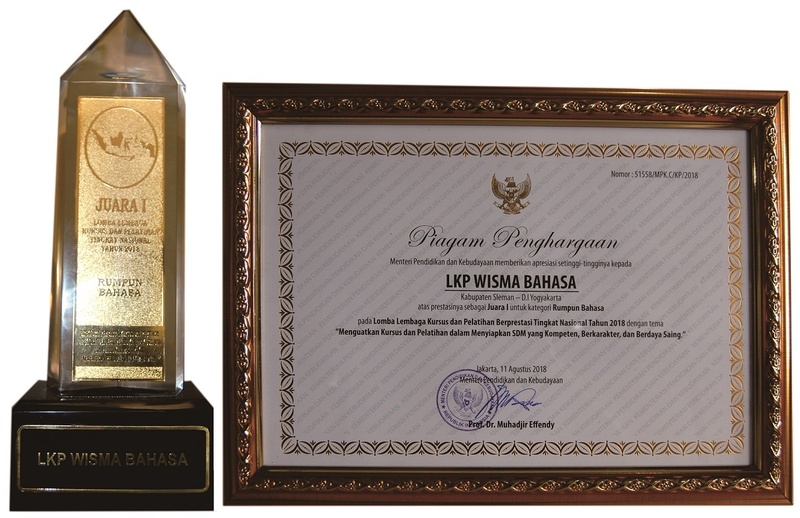 Our staff is composed of graduates of renown universities in Indonesia. We possess different educational backgrounds as well as cross-section of cultural background. Each teacher at Wisma Bahasa is allowed for their freedom to express and promote creativity and confidence in their teaching method. As the development of technological upgrades, Wisma Bahasa continuously focuses on teaching skills development by providing in-house and external trainings periodically. Evoking the ethnic ambience in the diversity of Indonesian culture, our building and classrooms offer the learning experiences in the culture. Enjoy our rooms with the nuances of, among those, Bali, Jawa, Sunda, Asmat, Maluku, Melayu, Toraja, Madura, Tengger, Aceh, etc. Wisma Bahasa believes that all the learners have become one big family of Wisma Bahasa. Therefore, maintaining a good relationship through various communication media and social sites, has been our concern. All family of Wisma Bahasa always keep in touch to one another, to keep a good relationship, as well as maintaining bahasa Indonesia lesson.